A 2012 study has found that Florida ranks high in the top 10 states with the highest occurrence of mold in residential and commercial properties. According to the relative hazard-ranking model developed by the American Risk Management Recourses, Florida ranked #2 in this category. Texas ranks #1, and following Florida is Oklahoma, South Carolina, Nevada, Arizona, California, South Dakota, Tennessee and Kansas. 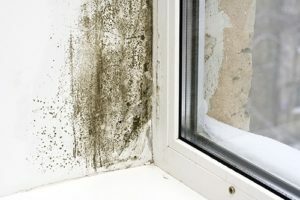 It sounds bizarre that dry states such as Nevada and Arizona could rank so high for mold occurrence but it is possible. Homes and business today are built to meet energy-efficiency needs, which can sometimes cause a greenhouse effect if the ventilation designs are not created properly. The result could lead to mold growth. If your home is a foundation-slab-on-grade home, make sure the slab is examined for moisture transference to determine if it is sitting on or near water. Rain gutters should be tested for functionality to reduce the risk of leakage inside the home. The interior of the house should be tested to maintain positive air pressure to make sure there are no leaks in the building. Windows and doors should seal properly. The single highest risks identified in single-family homes include improper framing around windows and doors. Exhaust fans should be installed in wet areas, including bathrooms, wash rooms, laundry rooms and kitchens. Cleaned wood should be treated with a long-term antimicrobial as a safety net to prevent mold growth during an unexpected water intrusion event, which, given climatic changes, is less and less unexpected. Find out if your homeowner’s insurance offers mold remediation should it be needed in the future.